Contemporary fantasy adventure. 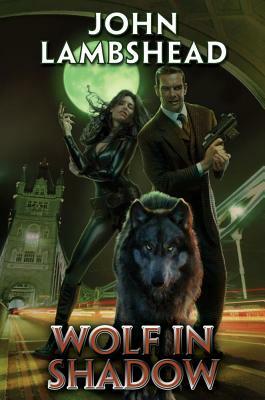 An ordinary young woman finds a haunting and dangerous world of demons and shapeshifters on the streets of modern day London. Urban fantasy in one of the world's greatest cities. Rhian, a girl from the Welsh valleys on the run from tragedy and herself, finds a new home in the modern East End of London, where the world's largest financial center spins a web of money and power from glistening towers of chrome and glass. Beneath the digital fa ade lurks the old East End where the layers of two thousand years of dramatic and violent history slide over one another like glaciers, spilling out in avalanches that warp the real world. As bodies begin to litter the East End streets, The Commission dispatches its best enforcers to deal with the situation: Karla is not human, and Jameson left his humanity behind in pieces in Northern Ireland and Afghanistan. Rhian makes new friends, dangerous friends; and where Rhian goes, the wolf is always in her shadow, just a heartbeat away. Among the bankers and traders of the East End walk demons in human form and who is to say which are the monsters? London is a magical bomb waiting to explode and somewhere a fuse is hissing. Dr. John Lambshead is senior research scientist in marine biodiversity at the Natural History Museum, London. He is also the Visiting Chair at Southampton University, Oceanography, and Regent's Lecturer, University of California. He also writes military history and designs computer and fantasy games. He is the author of swashbuckling fantasy Lucy's Blade and coauthor, with best seller David Drake, of science fiction adventure, Into the Hinterlands.